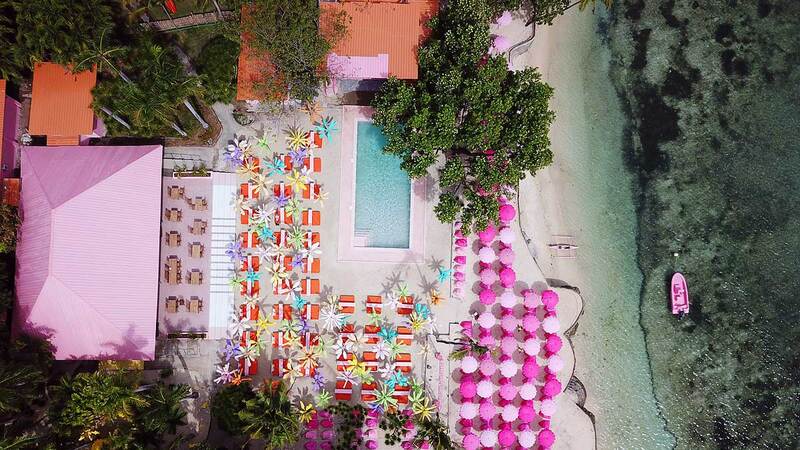 (SPOT.ph) Because of their proximity to Metro Manila, Tagaytay and Batangas are top destinations among city folk who just want to take a break from a busy work week. It can get chilly, especially in December, because of its elevation and location amid rolling hills. 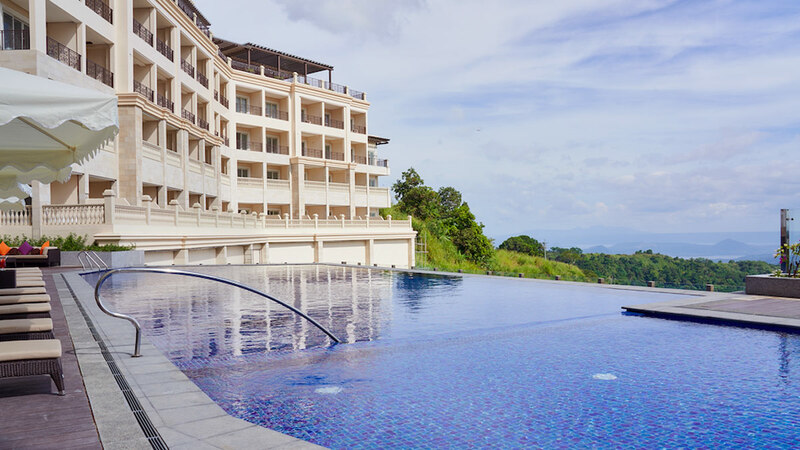 Still, it's hard to resist the view of Taal Lake or a relaxing dip in an inviting pool. Not looking forward to swimming in cold water? 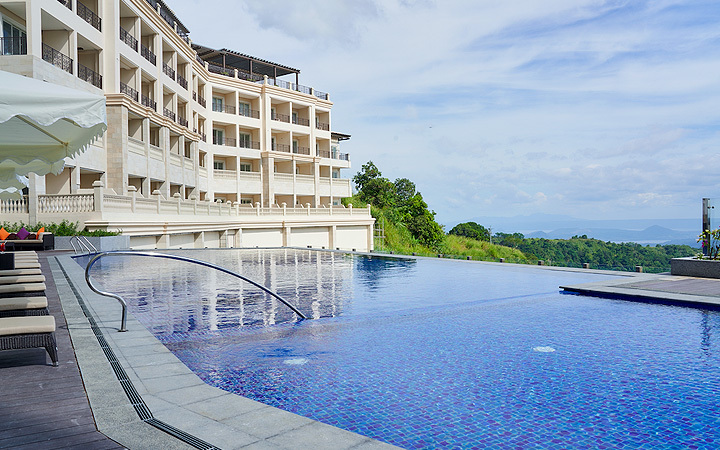 Twin Lakes Hotel in Laurel, Batangas near Tagaytay, boasts a heated infinity pool to take all your worries away. 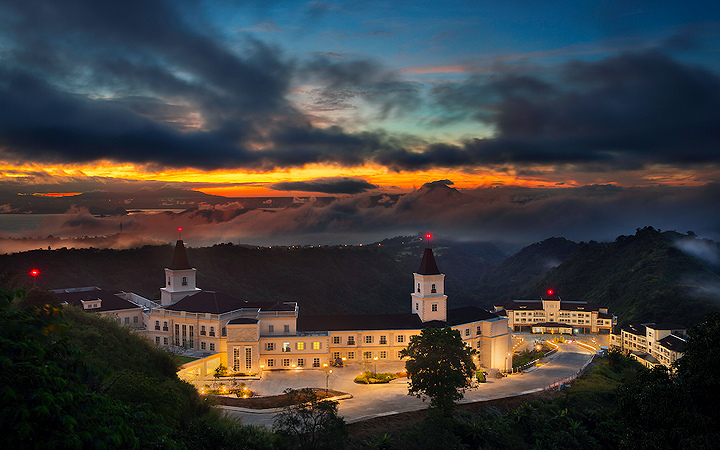 It opened on December 15, just in time for the influx of tourists during the holidays. 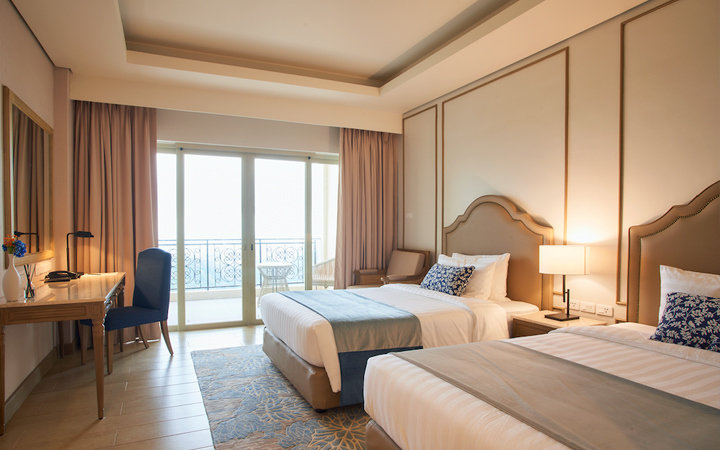 "Twin Lakes Hotel stands out as the only hotel in the country that has an actual grape-growing vineyard at its backyard," General Manager Jun R. Jimenez says about the new property. 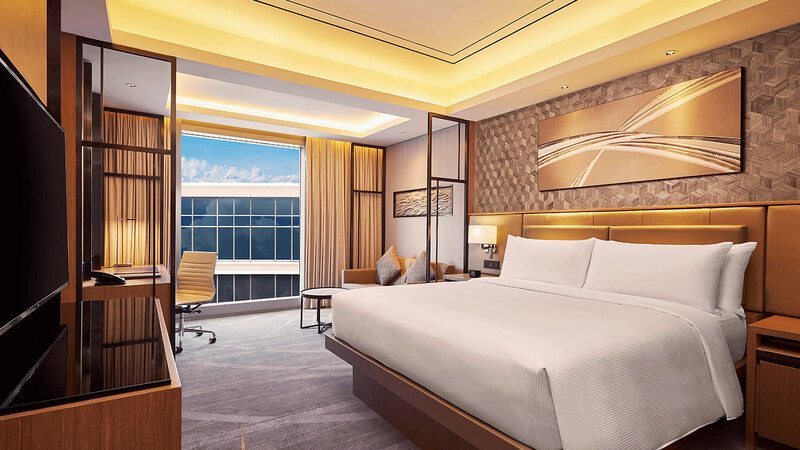 It's located within the luxurious Twin Lakes, a 1,200-hectare tourism estate that houses low-rise condominium towers, a fitness and wellness center, food and retail hubs, and a nature park. The mixed-use development is also the home of one of the prettiest Starbucks branches in the country. The eight-level hotel that looks like a castle has five types of accommodations: the Superior Room at 34 square meters, Deluxe and Executive Rooms at 38 meters, the two-bedroom Family Suites, and the 86-square-meter Presidential Suite. 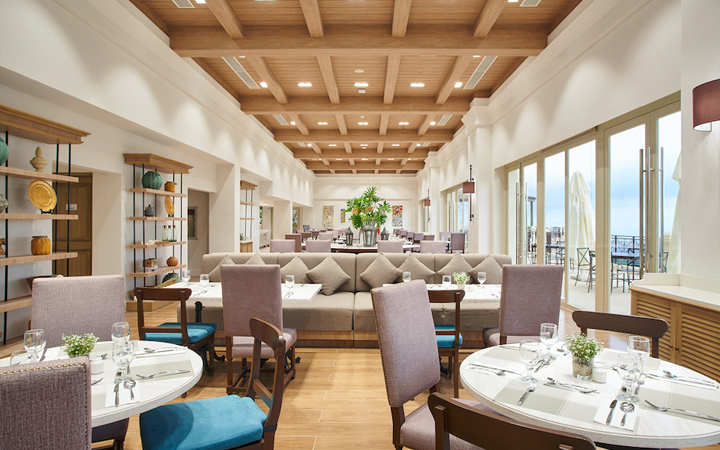 Guests can also enjoy the view and the hotel's signature dishes at Twin Lakes Café, an all-day dining restaurant facing the vineyard and Taal Lake. A must-try, of course, is its own version of the Tagaytay favorite: bulalo. 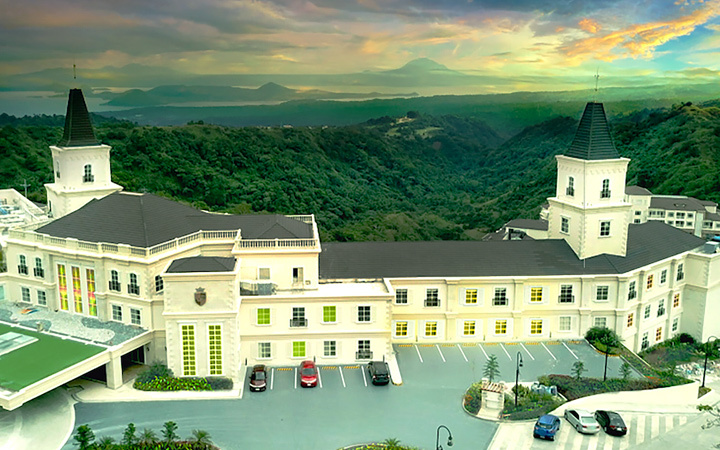 Twin Lakes Hotel is at Twin Lakes Tagaytay, Tagaytay – Nasugbu Road, Dayap Itaas, Laurel, Batangas. For more information, follow Twin Lakes Hotel on Facebook.